With a history that spans over decades and multiple awards, SLO Brew is proud to announce the appointment of Steve Courier as SLO Brew’s full-time Brewmaster. A true original, Courier has been a part of the SLO Brew family since 1997 but previously split his time between SLO Brew and Firestone Walker Brewing Co. With more than a decade’s worth of intimate knowledge in SLO Brew’s style and flavor, Courier will oversee brewing operations at SLO Brew’s gastropub, The Brew, and its new brewing facility, The Rock. 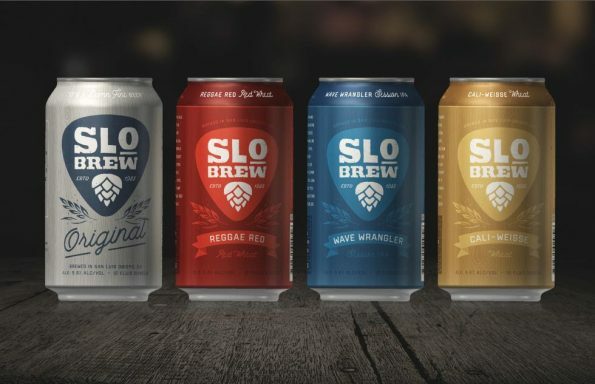 To honor one of its original investors, SLO Brew will be donating a percentage of every can of SLO Brew Original Ale that is purchased to the Tom Adamski Foundation, which provides design and technology scholarships that empower individuals to leverage digital media to amplify brands and their connections with people. SLO Brew is located at 736 Higuera Street, San Luis Obispo, CA 93401. SLO Brew’s brewing facility, The Rock, is located at 855 Aerovista Place, San Luis Obispo, CA 93401. For information about The Brew, The Lofts and The Rock, please visit www.SLOBrew.com. Since 1988, SLO Brew has been an integral part of San Luis Obispo’s cultural scene, brewing award-winning craft beers and regularly featuring performances from both local and internationally recognized artists. Today, SLO Brew is composed of three venues, The Brew, The Rock and The Lofts, giving the community more options for entertainment, accommodations, eating, drinking and hanging out. While The Brew will maintain its local spirit by serving up gastropub fare and intimate shows, The Rock offers expanded brewing and canning capacities as well as a tasting room, beer garden, restaurant and a concert and event space. The Lofts feature contemporary one-, two-and three-bedroom suites perched directly above The Brew. Together, the three venues offer a complete experience that’s perfect for any type of night out or celebration.